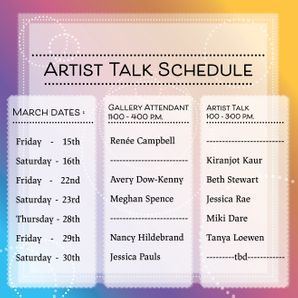 Come on down to the Kariton Art Gallery this week for artist talks from a variety of artists talking part in the Women in Art exhibit going on this month. I will be there this Thursday from 1-3 to talk about my art process. You can also express yourself with art supplies through a postcard activity if you are feeling arty. I’ll bring the supplies and you can bring your memories and creativity.